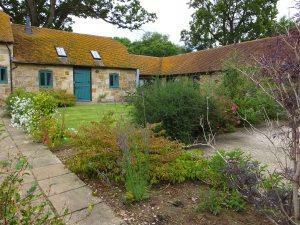 Shorthorn & Friesian Cottages01435 812870work Self-cateringTwo converted barns in rural East Sussex of sandstone and brick for self catering accommodation with Visit Britain four star awarded. They are centrally heated but also have wood burning stoves and all the modern conveniences. Set in a peaceful rural area on an ex dairy farm within 15 miles of over 100 attractions and about 12 miles from the coast. We accept well behaved dogs and there are many footpaths for walks including one of about 2 miles around the farm and through the woods. Two converted barns in rural East Sussex of sandstone and brick for self catering accommodation with Visit Britain four star awarded. They are centrally heated but also have wood burning stoves and all the modern conveniences. There are a selection of pubs good for food including two within a mile radius. The station for trains to London is about 20 minutes away.